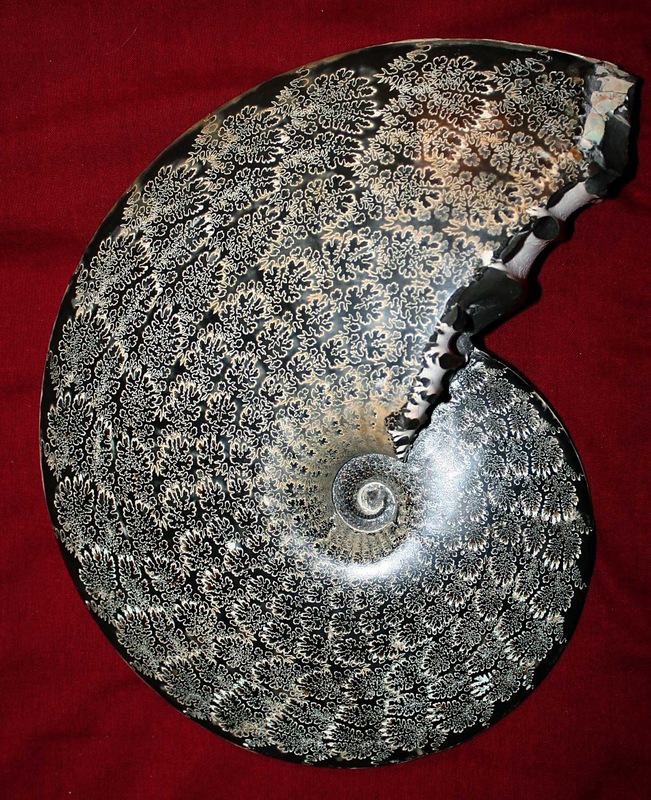 This ammonite fossil is quite ornate with fractal like patterns representing sutures. 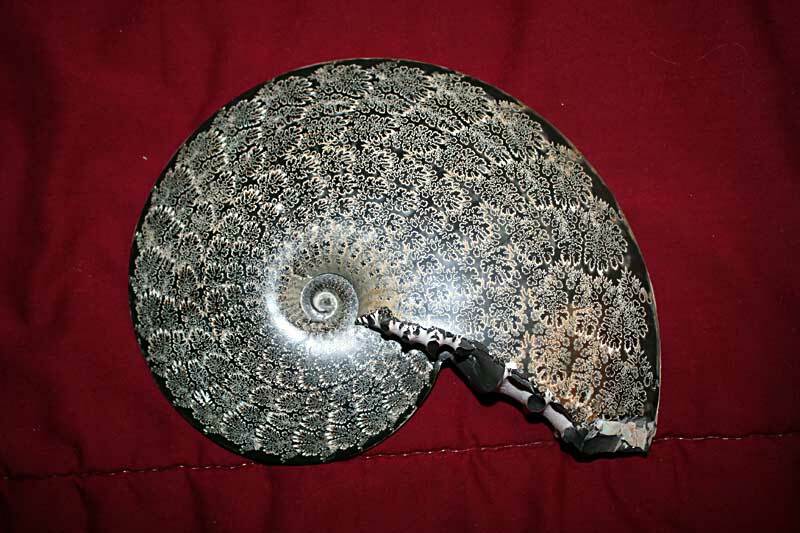 The ammonite is known as the Placenticeras meeki found in the Pierre Shale Formation of the Badlands of South Dakota, USA. Unfortunately, I did not image it with a ruler but if I recall correctly it was over 10 cm wide. 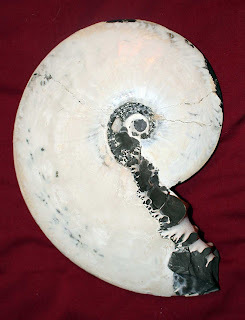 This animal swam in the Upper Cretaceous (70 million years ago) seas. 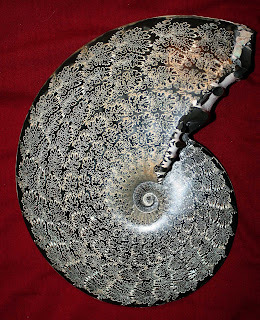 The next picture is of a much higher resolution if you want a zoomed in view of the patterns. 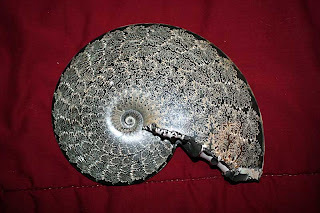 The last picture shows the iridescent covering on the other side of the fossil. Thanks to Mark Palatas for allowing this to be photographed.